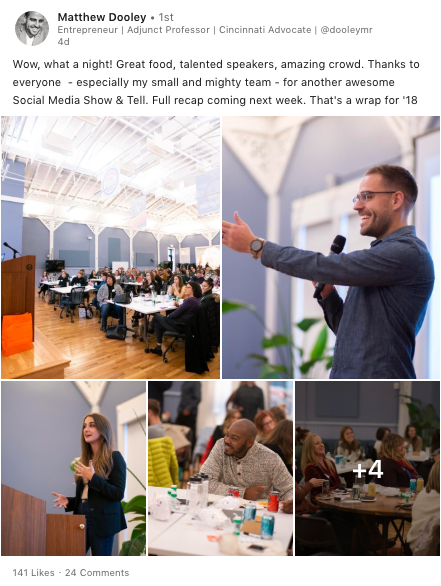 The snow day didn’t stop us: The house was packed for our final Social Media Show and Tell event of the year at Union Hall in OTR! From the great food and beer, to impressive keynotes, to Q&A sessions that could have gone on forever, it’s safe to say that good times were had. 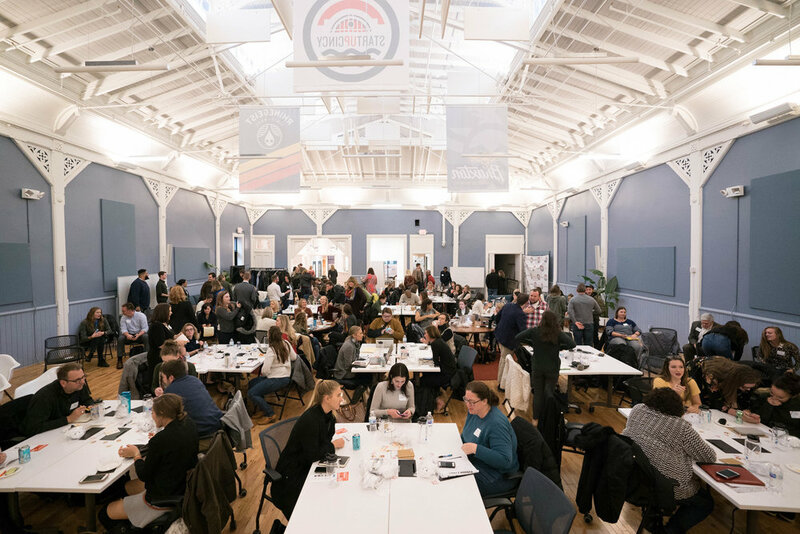 Now that we’ve settled back into the real world, here are just a few of the top takeaways that we will be remembering from last week’s event. Whether it was examples of successful content or statistics about video’s dominance (90% of time spent on Facebook is from Mobile… 75% of all mobile data will be video by 2020!) - it was hard to miss the importance of vertical video on social. 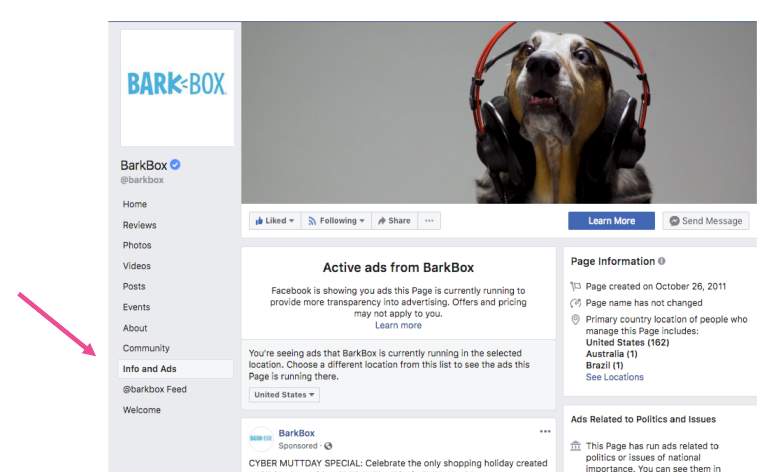 To give your audience a better experience, try following in the footsteps of those who have done vertical right in the past (our team loves the creative examples shared in this AdWeek/Facebook collaboration). With the growing use of Stories and growing support for vertical videos on platforms like Facebook and YouTube, now may be a good time to take Leigh-Ann’s recommendation of “leaning in” to vertical video on platforms like Instagram to heart! For social media marketers, the ability to manage your online community - during good times and bad - may be as important as managing content. According to Michelle Curley, there’s really no rule of thumb in crisis management. They had a plan, but their situation with Harambe was so unprecedented that they had to go off script and be fully present, learning along the way how to best respond to everything that was being thrown their way. She and the team also learned about the importance of staying consistent with their messaging - over time, and also across platforms. Fiona the Hippo’s water is 100% recycled—plus, apparently the Zoo is the “greenest zoo in America!” Not too shabby, Cincy. Leigh-Ann shared a ton of great insights around the importance of including paid ads in a social media strategy (less than 2% of your Facebook followers will see your organic content!) as well as tips on how to run successful ad campaigns. Business goal – Awareness? New product launch? App downloads? Media budget – Consider how much you have to spend, and be sure to include costs like production fees in your budget. Timing – Consider seasonality, update times, and leave room for unexpected circumstances. Platforms – Notice this is the last step! The previous steps should inform which channels are used for the campaign. She also threw in a super helpful tip for drawing inspiration from competitors or other relevant brands. See screenshots below for Facebook, and follow http://ads.twitter.com/transparency for Twitter. Part of Shannon Paul’s presentation focused on the idea of “surprise and delight”—meaning, if you can create a truly remarkable experience, people are much more likely to talk about it and be willing to share the story on social. (This is something we believe deeply here at DM!). Not only that, user-generated content is 7x more engaging than brand-generated content. This concept was backed up with great examples like the Fifth Third Babies campaign in which care packages were delivered to new parents of babies born on 5/3 that included a gift of $1,053 to start a 529 College Plan Savings Account for baby. And we heard similar stories from the other presentations, as well. 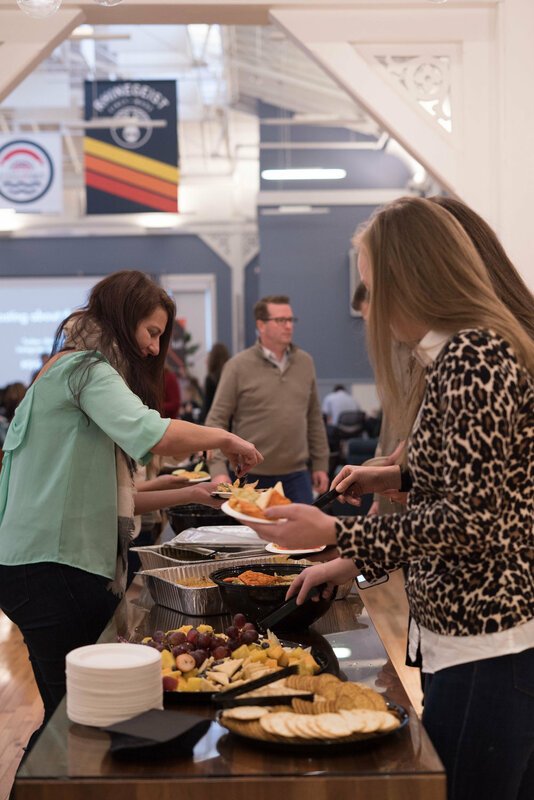 It’s safe to say that Show and Tell attendees experienced some “surprise and delight” of their own, too. While guests went home with tons of new tips and knowledge, they also enjoyed awesome free swag like water bottles, Fiona bubbles, pens, stickers, and even a few plush Snapchat ghosts! 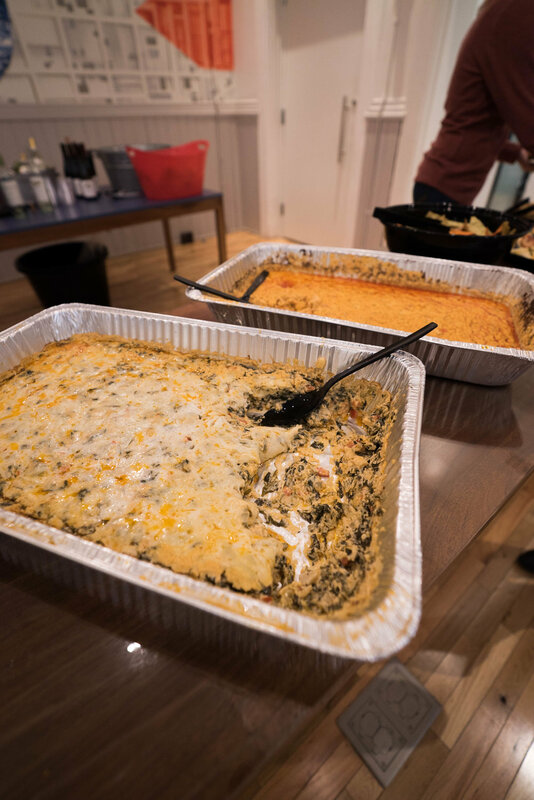 The food by Tano was a huge hit, too. As an agency that enjoys partnering with awesome clients, we really connected with another great point shared by Shannon. Her stories focused on a compelling campaign centered on Shark Week in which Fifth Third partnered with Discovery and Discovery Go to drive awareness of the bank’s ATM perks with very cost-effective social media promotions. While not every brand has a (nearly) 1,000 lb. hippo to talk about on social media, there are opportunities like it that your team can leverage - if you keep your eyes and ears open. First tip: what is something you can document from start to unfinished? Considering the fact that Fiona might not have survived, the team at The Cincinnati Zoo took a risk in sharing a story that might not have had a happy ending. But it’s the journey that often rallies support from your followers. Second tip: stay open to creative ways to capitalize on and carry the attention. In some cases, this’ll be milestone driven (like the 1K walk for Fiona’s 1,000 lb mark). 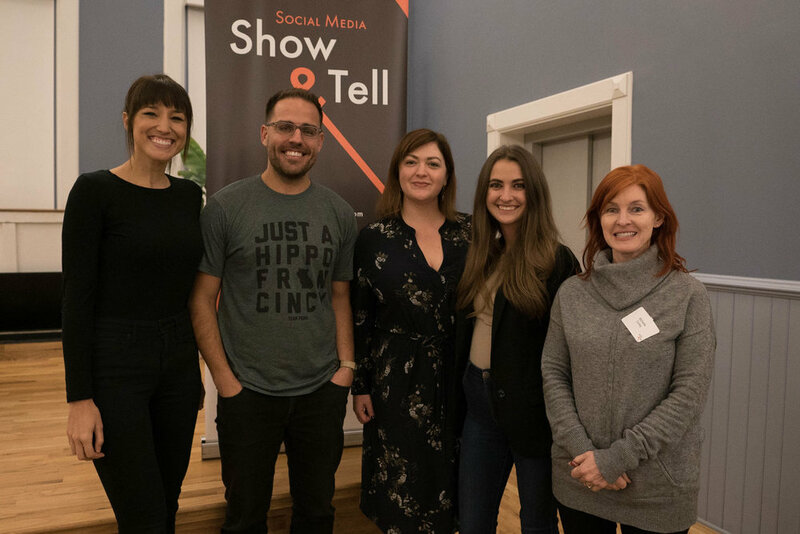 In other cases, it’s being open to partnerships, where you share the brand with others who are passionate about it (like CincyShirts, who has sold thousands and thousands of Fiona shirts, including the one worn by Matthew Dooley at the Show & Tell event!). Lastly, we learned from the Zoo how creativity means saying no just as often as it does saying yes. For instance, they’ve chosen to speak about Fiona but not as her or from her perspective. Tell us what we missed!